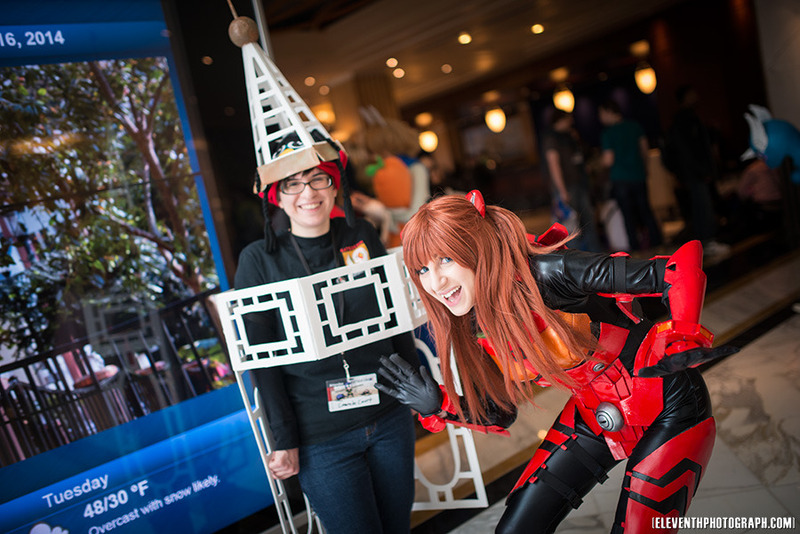 Lucky to have made it alive to Katsucon 2014 after a brutal 13-hour drive from Toronto. I traveled with my GF Alex, and the twins Glay and TechnoRanma on this crazy adventure to Washington DC in order to see some awesome costumes and make some magical photos. We left just after 9am as planned on Thursday, and arrived not-as-planned just after 10pm that evening. The weather was brutal and I feel bad those who’s flight was cancelled or delayed! Your Faith is strong! During the polar storm we played a nice game of “I Spy” in the car during the snowfall, and let me tell you it got real old, real fast. We were also not in time to make it to elevation burger for some burgers. The sports restaurant on the Atrium level, let me tell you, I really don’t like them. Their service is no good. Last year or the year before we ate there, the server barely showed up when we needed them. This year, because it was late they only offered meals at the bar. So for the 10+ minutes that we tried to hail a server to notice us after finding an open spot at the bar, and finally receiving a menu to take a look and order from, we were told that the kitchen actually closed at 11:30. I checked the time and it was 11:36. THANKS. We decided to head down to another open bar place near the Gaylord and they were luckily still serving food as we were starving, the service was nice as well. So Friday, I don’t even remember what happened actually… Maybe I should just write things from the weekend as they come to my head instead. Well lots of awesome costumes as usual at Katsucon! The big EVA suit at about 10’ tall was impressive! The NGE Vehicle that cosplayers could sit in was pretty neat as well, difficult to transport either. Someone else brought an actual drivable kids car, Dr. Who variety I believe. I should probably mention the issue with the hotel’s policy “Professional Photography”. The term itself is difficult to define. Is it someone who makes a living doing photography? Is it a camera+lense above x amount of dollars? Is it someone’s $20 lightstand bought off ebay? I’m not sure. I heard various conflicting info over the weekend, including someone’s camera being too big! 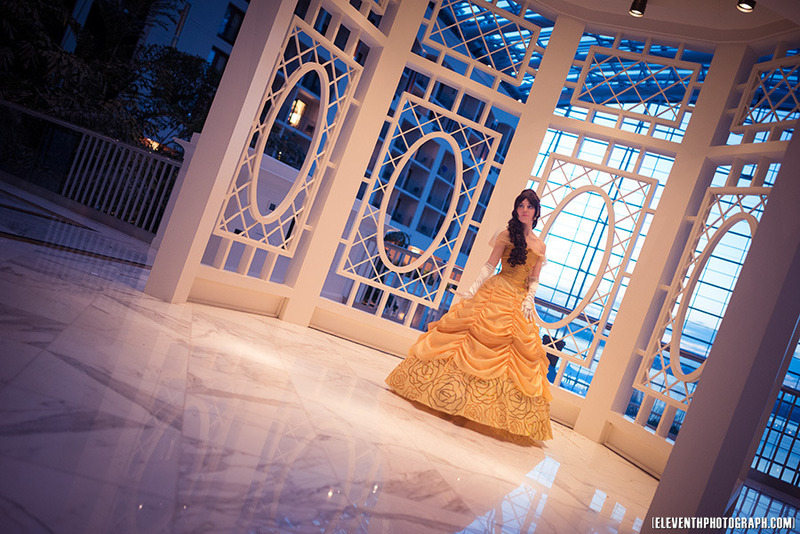 To be fair, I can understand numerous lightstands and tripods impeding foot traffic in certain areas, creating safety hazards; but I still don’t understand why at a convention the size of katsucon a small lightstand tucked away in a corner of a far-away hallway is still a no-no. I do wish Katsucon staff could look further into this matter for next year. I’m not looking to set-up a three-point lighting kit beside the gazebo and I can understand staff not wanting that. It can push you to get those natural-lighting shots during the day and force you to concentrate on other elements of your photo besides a softbox. But in a corner late at night with your model, that softbox is your best friend. This convention also marked my first in terms of tweeting during the convention. I recently got Twitter and you should follow me, maybe. I post things on there. A few selfies with friends from Katsu. I’ll also be using twitter to announce things that are happening such as photoshoot openings, contests and other stuff, so give it a look. The dealer’s room was something I wanted to tour through at least once but managed to get it done half-way, while the artist alley I got done doing the whole thing. I wish I would go to more panels, I know there are many good ones but it feels like there’s so few hours in the day to get everything done : ( I did watch some freaky fetish anime with Alex on Friday night, so at least that! Not sure if I’ve missed anything. Photoshoots will slowly be processed and sent out as completed, please wait patiently and you will receive an email from me containing the super-secret URL. My trolly device for my camera bag is still somewhat damaged, courtesy of me walking down 58 floors Sunday morning at Youmacon, but it managed to get me through Katsu all right, I should be receiving a replacement sometime soon. So I guess that’s it for the Katsu report, it was fun hangin’ out with new people, made some tight-knit relationships y’know! If you haven't been to Katsucon I highly recommend it! My next report will be from Con-G in a few days. If you see yourself in a photo, you can buy it for $5, it comes at 2000 pixels large! P.S Remember you can follow me on Twitter!